The Rub’ al Khalitranslated into English as “Empty Quarter,” is one of the largest sand deserts in the world. Accepting land from the UAE to Saudia Arabia, it exists as an empty cancelled that few have ever traversed. Out on the desert’s borders, Bedouin families have managed to survive in the harsh conditions, and many gladly welcome visitors to share in the desert beauty. Visiting new Abu Dhabi, leave the twinkling lights and head for the sandy void, where blue skies and dunes stretch far as the eye can see. The stand out in sandy dunes is soft and elegant and holds an unexpectedly refined array of yellows, bronze, and red. Dressing for an Abu Dhabi desert safari, it is best to wear some toed shoes for walking out on the dunes and also bring a change of clothes should cover you in the sand of the desert. Nevertheless, many desert trips offer guests the chance to sand boarding on dunes, and even though the boards are full and relatively stable, there is always the chance a soft landing could leave you covered in sand. Move off from the city in the afternoon and four-wheel across the dunes, reaching a point where silence is a sound of natures. While the desert trips, watch the sunset while drinking tea in a pillow lined Bedouin camp, and you can also watch stars rush through an entirely black sky. Throughout the desert trips, found some new adventures and unique experiences around every turn, from camel riding to Henna tattoos, to a belly dancer’s attraction. Around the campfire pass, a water pipe that dances into the night and shares in Bedouin kindness that voyagers and Arabian pioneers have been drawn and write about maps in the sand. 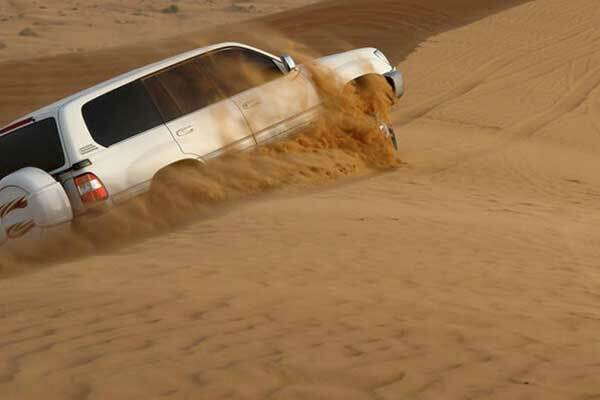 In morning safari, wild experience and spills adventure among the dunes on this 4-hour desert safari from Abu Dhabi. Visiting a Bedouin style camp settled deep in the desert. Ride and roll over the sand by powerful 4×4 vehicles, and feel the wind of desert on your face while dune bashing. Explore the land in style on camelback, just like the desert house Bedouin peoples, and enjoy breathtaking views over the rocky landscape. Test your balance sand boarding down the dunes, and then enjoy refreshments back at camp. 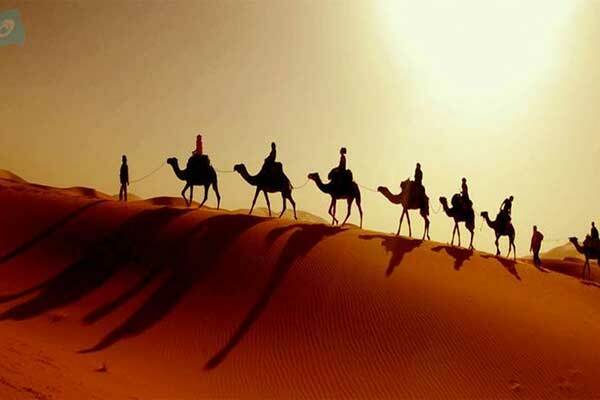 Get a chance to visit life of Bedouin peoples and desert adventures for exciting experience trip from Abu Dhabi. With an expert guide, board a 4×4 and head deep into the dune-filled desert for an action-packed afternoon and evening Abu Dhabi desert safari. For an exciting dune bash; visit a camel farmhouse to ride one of the big desert animals; also try sandboarding, watch a peaceful desert sunset, and perhaps get a henna tattoo on your body. Finish your day with a delicious barbecue dinner and belly dance show around a campfire at a twinkling desert camp. Get your desert trip tickets for convenience in journey. A unique experience waits for you at this desert sleep over from Abu Dhabi. It is the excellent place for relatives, singles or private stay. Spend the night in a welcoming Bedouin style camp where you will enjoy a variety of activities. Dune bashing, story telling, camel riding and sand boarding are just a few selections. After the sun sets over the desert, relax around the campfire for a delicious BBQ feast. When night falls, you will settle into your comfortable Bedouin-style tent for a peaceful sleep under the glittery desert sky. A delicious light breakfast welcomes you in the morning before going back to Abu Dhabi. Desert Trip Websites are the best way for knowing about the place and also for boo desert trip tickets online.You never miss the chance to visit desert when you are in Abu Dhabi. Choose different options from the desert trip websites they offer for the journey. In the deserts, drivers are all professional and have a passion for giving you a thrilling ride. So all you need to do is email and book your trip now. publish, we’d like work out more techniques in this regard, thanks for sharing.